Nickelback released their latest studio album, “Feed the Machine,” back in June, and the set has finally made its way onto vinyl. The Canadian rockers just released “Feed the Machine” on vinyl, dubbed the Collector’s Edition, on Friday (Nov. 10). 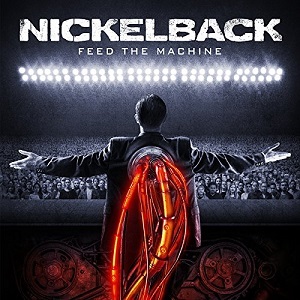 The wax release features the 11 tracks that appear on Nickelback’s original “Feed the Machine” release, packaged as a 12-inch vinyl album, 33 rpm. “Feed the Machine” debuted at No. 5 on the Billboard 200 charts upon its release last summer. In other news, Nickelback recently announced a five-show Las Vegas residency at The Joint at Hard Rock Hotel & Casino. The concerts are scheduled for Feb. 23, 24 and 27, and March 2 and 3. For information on the stint, head to Nickelback.com. Nickelback spent most of last summer hitting U.S. cities in support of “Feed the Machine.” Their concert at Red Rocks in Colorado will air as an AXS TV special on Wednesday (Nov. 15). Nickelback have also been teasing the release of a new music video for their track, “The Betrayal (Act III).” According to a batch of social media posts and teaser clips, the guys will release the video on Monday (Nov. 13).